1,Rue Des Orangers, 06400 Cannes, France. 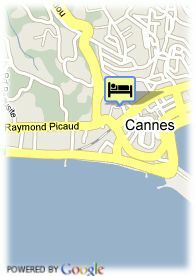 The hotel is located in the 'Old Town' of Cannes, about 350 mts. from the port and is a provençal building in a southern position. It offers 52 well-equipped rooms with television, phone and bathroom. 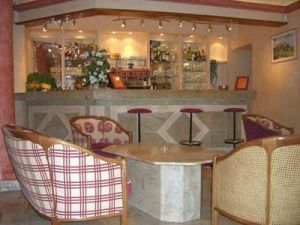 Hotel facilities include restaurant, coffebar, salons and there are a swimming-pool and 2 terraces.